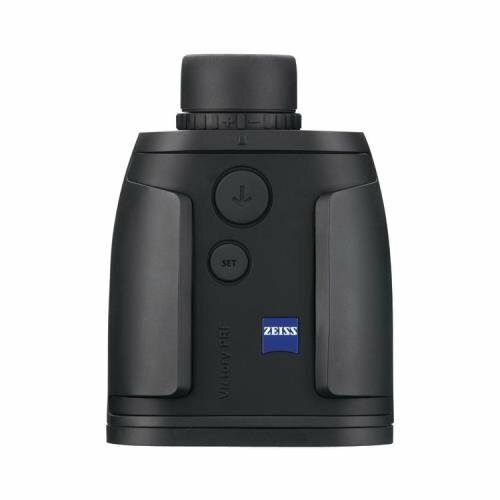 Carl Zeiss monoculars provide remarkably crisp, bright image quality and large fields of view, encased in a sleek, elegant profile. Each model features patented T anti-reflective multi-coating and non-slip housing. The Victory PRF 8x26 model is the first ever digital laser rangefinder with integrated LED display and Ballistic Information System. A powerful monocular with two-element Achromat in the 26-millimeter lens and Zeiss T multi-coating, the monocular can accurately locate targets at ranges up to 1,300 yards. Lightweight, durable rubber armor absorbs noise and abuse in equal doses, while also ensuring a secure grip. The PRF 8x26 comes with a convenient cordura bag, eyepiece cap, carrying cord, and three-volt CR123A lithium battery. Last updated: April 20, 2019 at 11:15 EST. Pricing information is provided by the listed merchants. GoSale.com is not responsible for the accuracy of pricing information, product information or the images provided. Product prices and availability is subject to change. Any price and availability information displayed on amazon.com or other merchants at the time of purchase will apply to the purchase of the product. As always, be sure to visit the merchant's site to review and verify product information, price, and shipping costs. GoSale.com is not responsible for the content and opinions contained in customer submitted reviews.